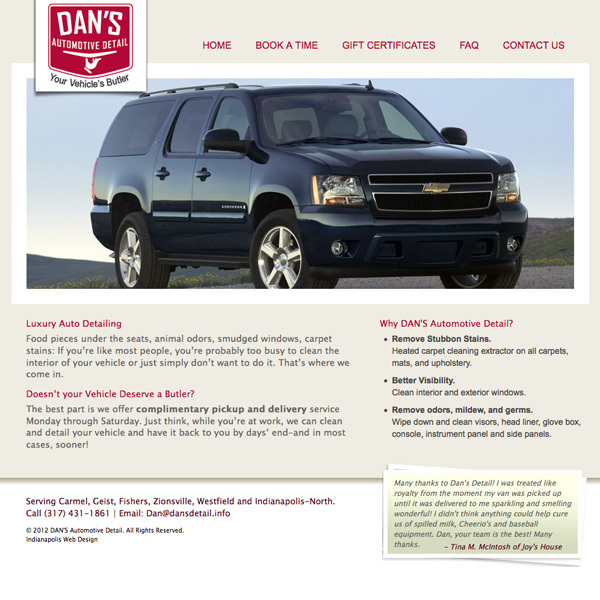 I connected with Mr. Dan Dawson to help start his automotive detailing business. He wanted a clean website that focused on high-end automobiles. 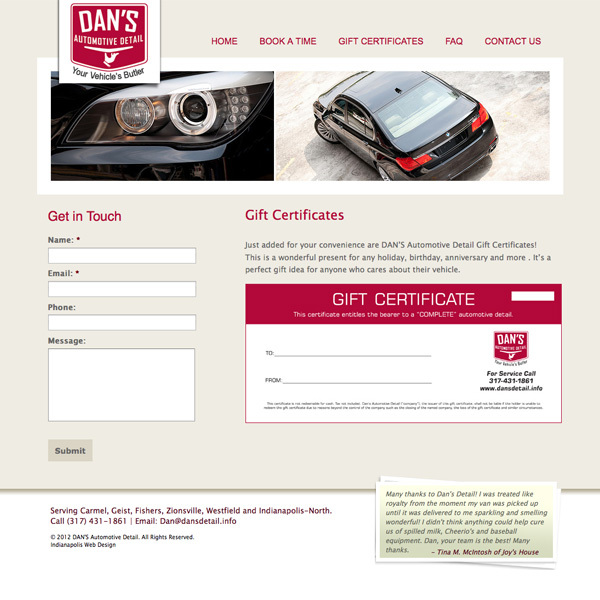 Dan’s business was unique because he offered mobile services with a concierge touch. I had a pleasure designing and developing this project from the ground up. A graduate of Purdue University, Ben is a former entrepreneur with over seven years of Internet Marketing and Web Development experience. As a web developer, designer, and project manager, Ben organized content, custom designs, developed code and executed Internet Marketing strategies. Copyright © 2012 Handcrafted by Ben Blanco. All rights reserved.